All Walks is spreading Diversity NOW! This week we are at At Ryerson University, Toronto as we continue our UK Wide and now international lectures to explore the importance of a broader range of body and beauty ideals in fashion! At the invitation of Dr Ben Barry and Ryerson University, I experienced a first in my 32 years of lecturing…Doing it in a Cinema. That’s one secret ambition sorted then! It was great to share ideas with Dr Barry, Assistant Professor of Equity, Diversity and Inclusion in Fashion and the creator of the only business research on the importance of diversity in fashion, as well as with Dr. Lu Ann Lafrenz, MA Fashion Program Director and Associate Professor. They have co-lead the creation and implementation of the new diversity-focused curriculum for first year students at the School of Fashion. We have been fortunate to work with many enlightened practitioners and as a result we can all share in new ways forward. Ryerson may be the first university to create fashion illustrations treat the body as a complex set of variables not a cartoonish 2D sketch and I’m looking forward to sharing those with you all. Edinburgh College of Art are also pathfinders in their field with Lauren Smith, winner of the GFW Gold award acknowledging her in depth process work as important, benefiting from the mentorship of our Diversity Network director Mal Burkinshaw. 171 students were surveyed after the All Walks lecture in 2012 here’s what they said…. “It’s great to put the ideas about the debate in schools so that younger generations can understand it and change fashion in the future. 71% — Given the choice, I would select a topic that explores diversity in fashion over one that does not for a class assignment. 85% — I would like to study more about diversity in fashion in my courses. 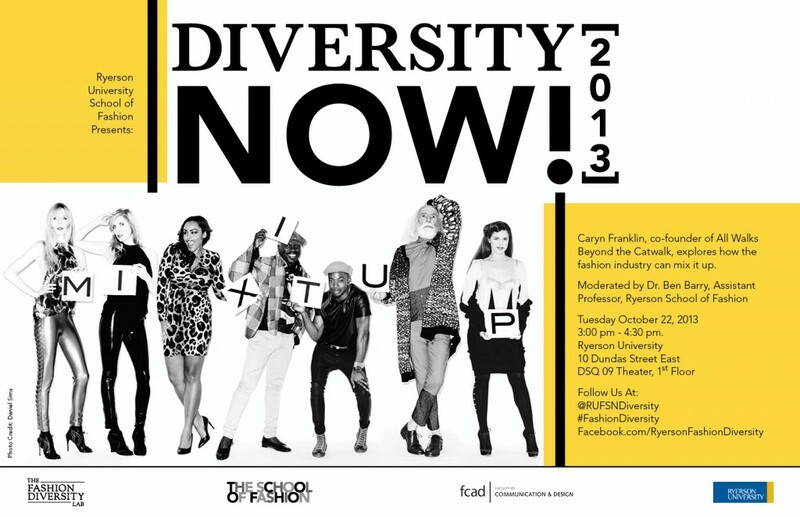 87% — The lecture encouraged me to question the lack of diversity in the fashion industry. 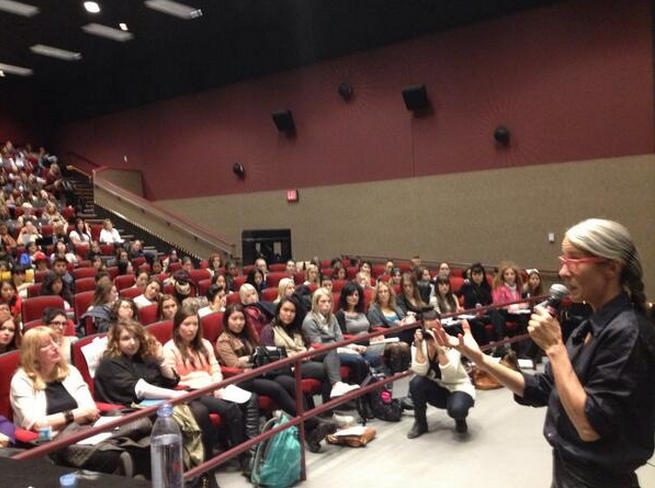 82% — The lecture inspired me to help create a diverse fashion industry. 87% — In my career, I will hire models who reflect a variety of sizes, ages and other diversity traits over models who only reflect one type of beauty. 85% I would challenge a colleague who only wants to hire models who reflect the Western beauty ideal. Former fashion editor and co-editor of i-D Magazine for 6 years in the early eighties, Caryn Franklin has been a fashion commentator for 31 years. She presented the BBC’s Clothes Show for 12 years and BBC’s Style Challenge for 3 years as well as producing and presenting numerous documentaries for ITV on designers including Vivienne Westwood, Philip Treacy and Matthew Williamson.